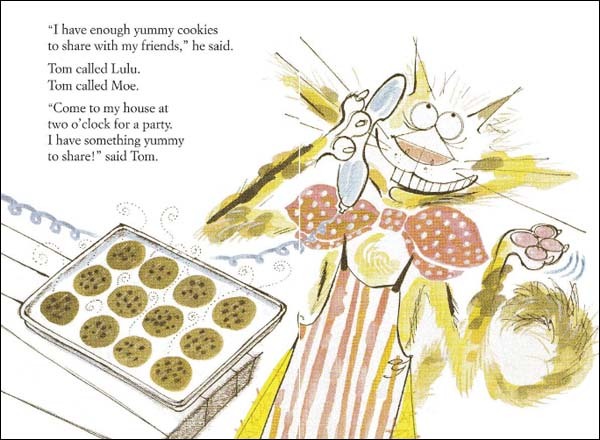 A hungry cat loves to bake goodies, then offer to share them with friends. However, after baking and dividing them up evenly, he always gets hungry and devours the cookies before his friends arrive. 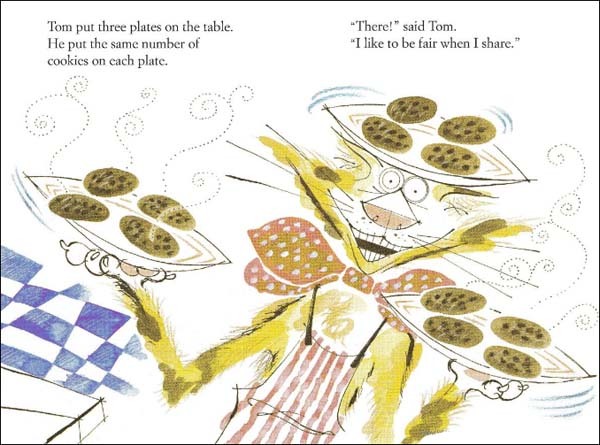 The story follows an endless round of baking, dividing, and devouring. Funny! School Library Journal called it "a simple, funny story combined with some basic math concepts that are so well integrated...that most readers won't even notice they're there." This wouldn't be our top pick in this category, but it does communicate the division lesson quite clearly, in a storyline that kids can relate to. It's a Hello Reader title--designed for level 3, grades 1-2-- but it would also work as a read aloud too. Below are sample spreads from inside this book. 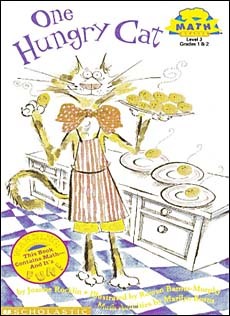 We don't love this title, but kids do get a kick out of this frantic cooking cat. Plus, this 'early reader' is a great way to help make independent reading time a little more cross-curricular. 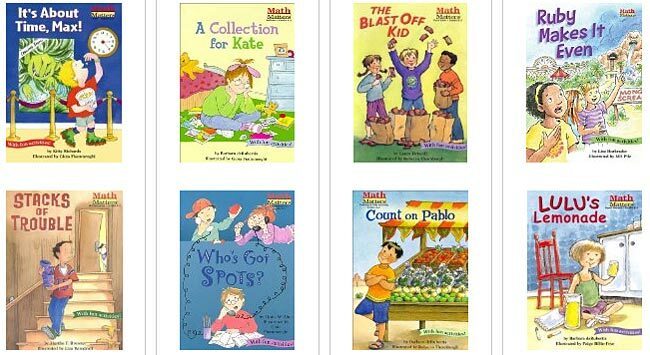 It is certainly true that kids understand math concepts better when they can see them in action in an engaging storyline!